This might just be my favourite day of the month. I can't wait to add a bunch of books to that list that never ends. So fun! What, it's not your favourite day? You don't like this link up? When I saw this pop up on netgalley I literally wriggled in my seat while I requested it. Annie Barrows co-wrote one of my favourite books EVER so I was really, really excited. I tried to keep my expectations low though, which is always hard! The book is charming, and witty, and I loved the characters. I enjoyed reading it which is all you can really ask for. I think it would be great for a book club as there would be a lot to talk about. I did enjoy this book - though it was a bit slow at the start, and it took awhile for anything to happen, but it eventually captivated me. I just wish it had happened a bit sooner, I hate slogging through a book hoping it will get better. It wasn't bad exactly, just slow. It is unnecessarily long without actually providing more of a story. The length could have been used to flesh out the characters or the plot a bit more. There was a lot going on without a lot going on. There were little stories here and there, none of them developed to their full potential. I don't mind a long book if it is compelling enough that I find myself eager to keep reading. This is a good story, but it's not very compelling. I felt like everything happened at once, and this book could have been about 100 pages shorter. Like I said, I did enjoy this book and overall it was quite interesting, but it too slow moving and detailed for my taste. I don't think the extra stuff about the history of the town was needed, I felt like I was learning and then re-reading what I'd already learned. It was redundant. I didn't have the nice fulfilling feeling you get when you finish a good book. You know? Now, don't get me wrong - I enjoyed this book and I do recommend it. It does have its flaws though, as they all do. Pre order it here (not an affiliate link, cross my heart). This was a re-read for me, and I enjoyed it just as much as I had several years ago. I think that this should be required reading for everybody in the whole world. The only reason you shouldn't read this book is if you already have. You might think its not for you - I don't like non fiction or self help books, I prefer fiction and fairytales. But this book? You can't not learn something from it. Promise. It's strange to rate a book like this out of enjoyment, but I enjoyed it so there you go. It's a true story, and it's heartbreaking. I don't remember exactly what we learned in high school but I am sure it was Australian focused, just like I'm sure what you learn is American focused. I was quite ignorant and I learned a lot from this book. It was an extremely emotional read and I think I was in a constant state of almost or actually crying. If you know lots about the war, I'm not sure I would recommend it because why make yourself unnecessarily sad? I really don't have any other words except that I am glad I read it and I would recommend it if you think you'd be interested. I can't do this book justice. The movie was not good. I can't believe this took me so long to read. First off, why didn't anyone tell me what it was about? I mean I know they couldn't because spoilers, but I really would have appreciated some warning. I know a lot of people could say they could relate to this book, but I really could. Really enjoyed. Really wish I had read this 15 years ago. I had heard about this book from a few people and I was excited to read it because it's a Persuasion variation. Now, don't be alarmed - if you've never read any Austen I guarantee you wouldn't know it was a variation. Peterfreund shares a few quotes before a couple of chapters, like many authors do, but as for the story - you wouldn't know it unless you'd read Persuasion. Anyway, this book hooked me pretty quickly but it took forever for it to make sense with all the terms and whatnot. Eventually it all clicked and I thoroughly enjoyed this book. It's probably meant for a younger audience but I don't care. I also really really love the cover. I really enjoyed it but recognise it's not for everyone. It's definitely one of the best Austen variations I've read - stands on it's own, easily. 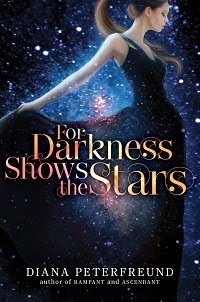 This is the sequel to ^^^ (and I also read the novellas, The First Star to Fall, Among the Nameless Stars), and it was so disappointing. First off, I hate when authors switch the main characters in sequels, if I was sick of the first people I wouldn't be reading the sequel, would I? 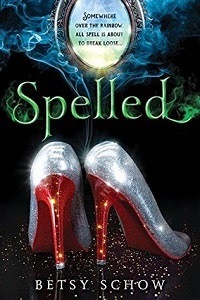 Some authors do it well (Marissa Meyer) but not only did Peterfreund switch up the main characters, she basically threw us in another world with new terms and I honestly thought like 200 years had passed. I didn't mind it the first time, but I shouldn't have to fight with my brain whilst reading just trying to understand what the eff is going on. You can't even explain a little bit?? I didn't love the characters or the story as much as the first (perhaps because it's a variation of The Scarlet Pimpernel and I haven't read that) or the characters, but I didn't hate it. I just didn't love it. Olya recommended this and netgalley was nice enough to give it to me. It took a bit to get into, a bit slow going at times. There are some beautifully written passages and I loved most of the characters.. It was a beautiful story and I did enjoy it, but I don't think I was in the right mood to fully appreciate it. It was good. I do recommend it. I wish there was a bookstore on a boat where some guy could tell me exactly what I needed to read. Totally requested it because I liked the cover. The cutesy usage of things like 'for Grimm's sake! ', 'what in the spell?' or 'oh pix you!' got old really fast. You know how some YA books are a healthy mix of Y and A, they appeal to both adults and youngens? I don't think this is one of them. This one was super on the side of Y. It was also just not very good, unfortunately. There was a whole lot going on with very little plot or character development and I just didn't like it. It had such potential. The formatting was a bit off (again). I think if I was younger (like 10 or 11) I might have enjoyed this. This book took awhile to grab me. I don't think it ever really did. I didn't hate it, but I didn't love it. Some parts made me laugh, other parts were so boring I legit don't remember them. I don't know, it was okay. Like I said, I didn't hate it, and I liked how it all tied together in the end, but there was a lot of unnecessary stuff in between. That's not to say it's a bad book, it's not, I enjoyed quite a bit of it, just not all of it. Skimmers, I would recommend How to Win Friends and Influence People, Unbroken, The Perks of Being a Wallflower and The Little Paris Bookshop. I know I read more than most people but I still feel like this month was a bit of a slump in the reading game. Hopefully May will be better. I think I need to read books based on my gut, not on what people recommend or what I get from netaglley. Not that there is anything wrong with either of those things - far from it! I just think maybe I struggled to finish them because I wasn't feeling them at the time. If that even makes sense. I am seriously going to swing by the bookstore on the way home from work to pick up some reads for the plane. Thank you for these!!!! How to Win Friends and Influence People was such a great read! It was inspiring, and also has so much practical advice. Honestly, I don't even remember anymore which things stood out to me the most (or if I've utilized any of it :-/), but I do remember being blown away when I read it. I STILL haven't read Perks of Being a Wallflower or seen the movie!! I really need to, everyone says they are both really good. I almost requested that first book you mentioned but for some reason I didn't. April was a slow reading month for me too. I only read 6 books. I struggle with picking books sometimes because everyday there are new and awesome books coming out and I want to read those too but I have a whole bookcase of books at home to read and I bought them for a reason. Also I read Perks of Being a Wallflower a long time ago, probably in high school and I remember connecting with it so well. I also enjoyed the movie. 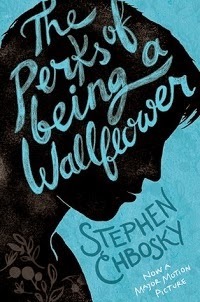 I have The Perks of Being a Wall Flower on my to-read list! I love these book reviews, always gives me some to add to my reading list! Ok you convinced me... I will read How to Win Friends! I have been putting it off forever! 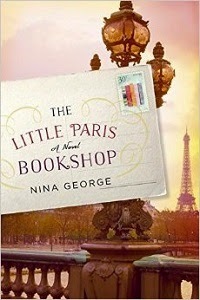 I am very curious about the Little Paris bookshop....it just looks like something I would enjoy! I feel like I want to read The Perks of Being a Wallflower. I probably should. I've yet to get around to Unbroken. I should read that, too. I loved The Perks of Being a Wallflower but you're right it would have been nice to read in my teens or very early twenties. I'm sad Spelled only got 2 stars, the cover attracts my attention! Unbroken and Perks have been on my list for a while. Shall read. The Truth According to Us has been added. Short, succinct comments because I'm supposed to be getting ready to go shop with my mom, but I just can't pull myself away from reading about books! I still haven't read The perks of being a wallflower yet! I need to get on that! I read The Perks of Being a Wallflower and How to Win Friends & Influence People... both were really good! I have Unbroken on my to read this this summer too! Glad to hear you liked it! I've been really slow the past few weeks but I'm finally about to finish the last novel I started and am looking to power through a few good reads. I have gone back and forth on reading How to Win Friends & Influence People for literally years... glad to hear you think it's a worthwhile read. When I'm ready for nonfiction again it'll definitely be in the running. And I'm so happy you enjoyed Perks! It's such a defining book for me. I used to read it every summer—I think I skipped last year?—but that is a practice that needs to come back into play this year I do believe. Sorry I couldn't warn you about the ending! So many of these books I'm adding to Goodreads! I've always wanted to read How to Influence People and Perks of Being a Wallflower. Also adding Unbroken (I should also read Seabiscuit right?). I agree that The 100 Year Old Man is not for everyone. I really enjoyed it! I really really really wish I knew about Perks when I was younger. It was awesome and I think I'd have loved it even more then. I love the book round ups! Yay! I'm going on a beach vacation in a few weeks...which one of these do you think is a good beach read?? I love, love, love Perks! I think I read How to Win Friends and Influence People a long time ago, but you've convinced me to re-read it! I watched Unbroken last week and liked it, but it didn't wow me. Now I think I should pick up the book. YAY BOOKS! I always forget when this link up is, drat! I always look forward to your books, too!!!! I totally get not being in the right mood to read a book. I have read a lot of books that I think I would have loved if I had read them at a different time. I just couldn't get over how beautifully written The Little Paris Bookshop was. I LOVE Unbroken-really an incredible read. One of these days I will actually remember to do this linkup! I think i need to re-read Perks of Being A Wallflower. It is such a good book, and so much can be learned from re-reading it as an adult. Totally agree on Carnegie and Unbroken. I actually have a little pamphlet that a former boss gave me that is the basics of Carnegie's book that I look at from tie to time. And Unbroken? I'm not a big cryer, but I totally cried when reading it. You are a reading pro! 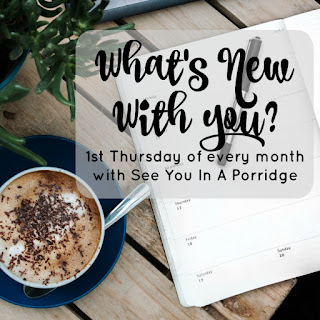 Your monthly list always impresses me so much.. and makes me want to pick up a book of my own so thank you :) Just bought Dark Places by Gillian Flynn, starting it tomorrow! Love that you keep adding to the list!! I know exactly where to look when looking for books to read! I added How to Win Friends and Wallflower to my goodreads list. I cant believe I never got around to reading Perks of Being a Wallflower either!!! I just love book day!!!! Have you seen Perks of a Wallflower movie? I wondered how it compared. 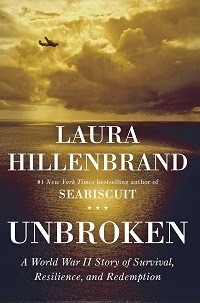 I'm not a big non-fiction reader, but I really need to sit down with Unbroken. I've heard so many good things about it. 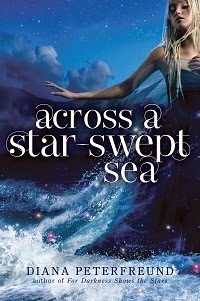 And I loved For Darkness Shows the Stars, but Across a Star-Swept Sea sadly fell short of the mark. I've been meaning to read How to Win Friends and Influence People forever! I've actually intended to pick it up multiple times only to get sidetracked by something on the "Just In" or "Staff Picks" shelf. I'm going to make of point of reading that this summer. Yes, I have definitely learned to read based on my gut, BUT it does help get me out of my romance genre when I try the other books. I only read half my usual in April. Perks was everything to me in high school and I made everyone I knew read it. I'm afraid to reread it as an adult for fear that that magic will be gone, but I still think of it everytime I hear Something by the Beatles. I have Unbroken on my to listen to list bc it's narrated by the grandpa from Gilmore Girls, haha! oooooh I've never seen this linkup before. I'm going to join next month! OMG, I missed this post! 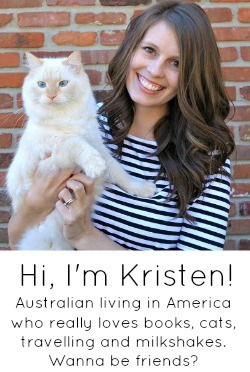 It just came up as I was catching up on my bloglovin feed. Thanks for the Skimmer's Digest Edition at the end! HAHAHA! I will put How to Win Friends on my "to read" list since I probably need that advice in real life. And I'm way curious about the wallflower book because you said it needed a warning but you couldn't give it one?? If it's needing like...Kite Runner warnings please let me know because that means it's not for me! The Perks of Being a Wallflower is one of my absolute favorite books. I remember (once I did read it) feeling like I'd definitely slighted myself by not reading it years earlier. 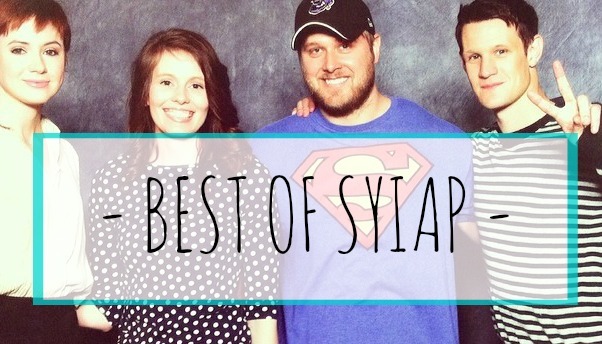 Again, you've mentioned books that I haven't checked out, but want to! 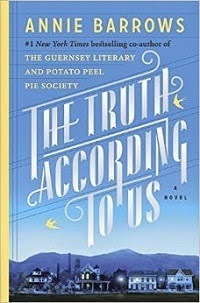 I have The Truth According to Us on my Kindle thanks to Netgalley too. I can't wait to read it! It's 3am and I need to be asleep but I saw this little wrap up and thought "OMG I MUST!" I've read quite a few really good books these past months (all of which I'm reviewing on my blog on Friday! Whoop, whoop! ), but just s I began to clear out my TBR shelf, here you go adding to it! LOL I'm not mad at it though. Gonna check out that nonfiction book because you're my book twin and you said to, even though I usually don't read nonfiction. I am so so so glad you love Perks! I mean, I named my prose series after it so you know I adored it. Charlieeeee<33 I also wish I'd have read this book 15 years ago because Charlie = high school Kari, like for real. I kind of hated (the movie) Perks because the trailer made it seem more like a comedy and it was so far from a comedy! So dramatic! 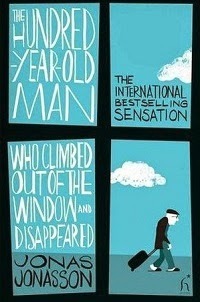 And The Hundred-Year-Old Man book is on my to read list!